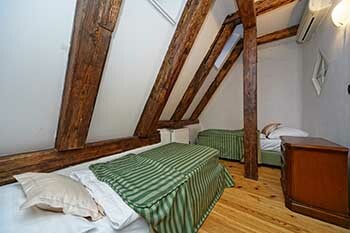 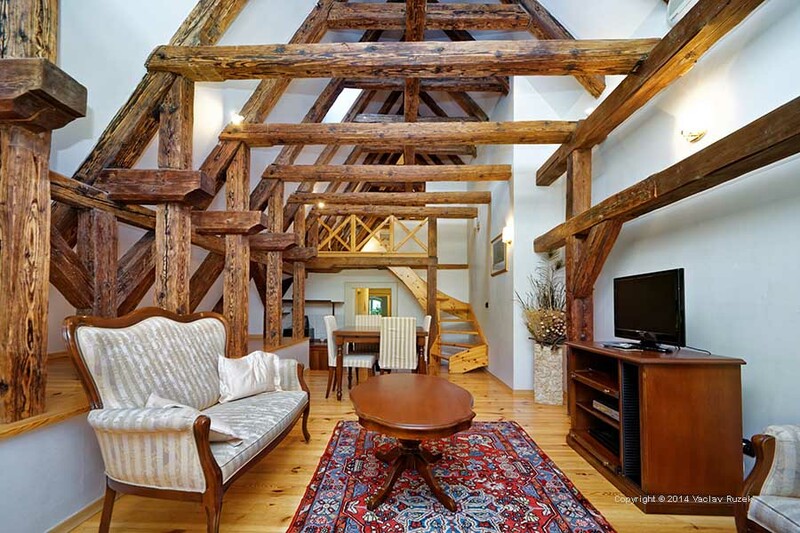 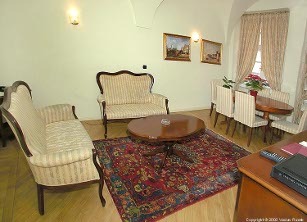 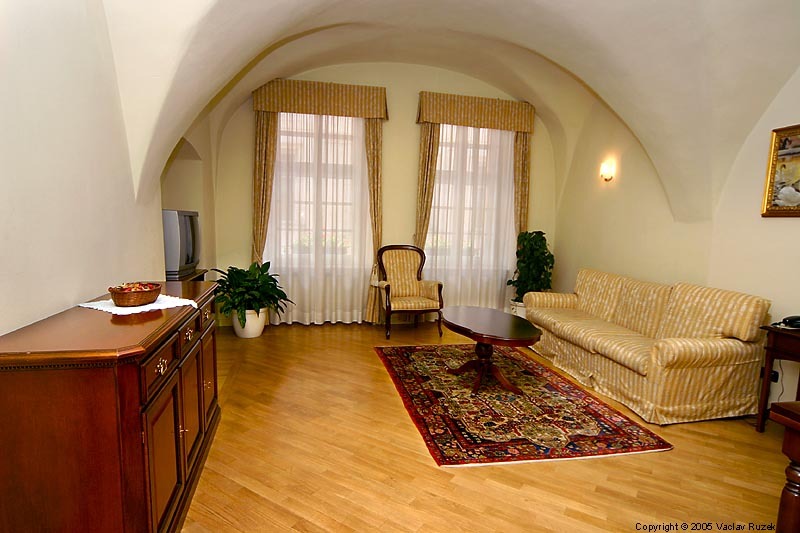 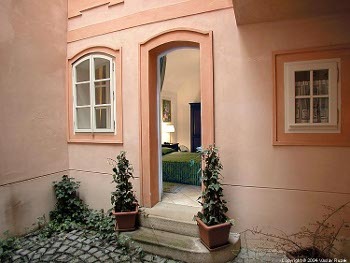 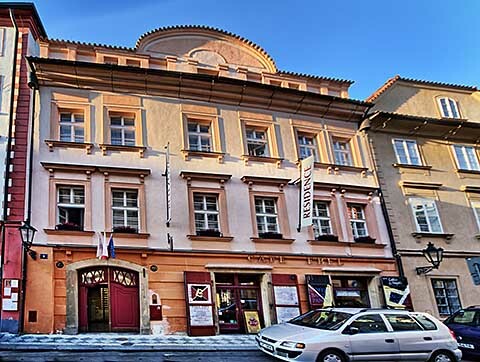 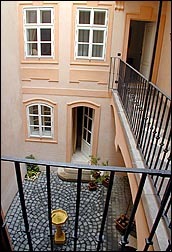 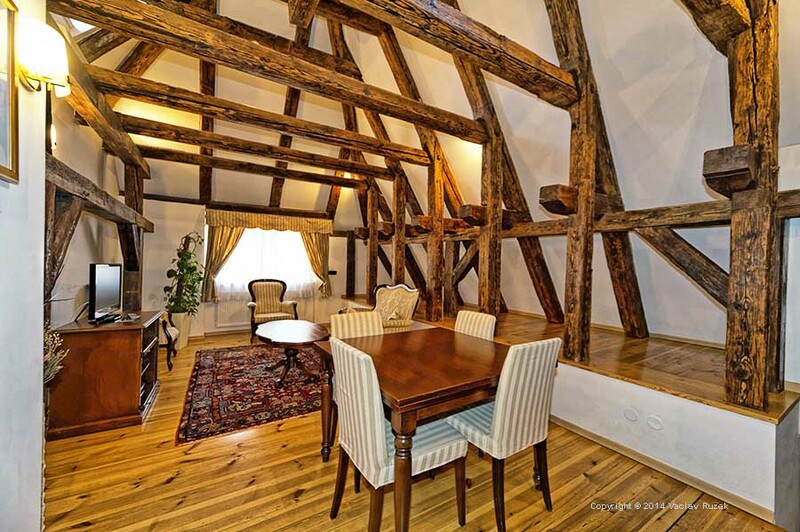 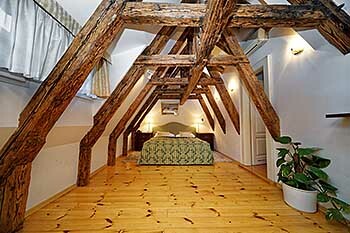 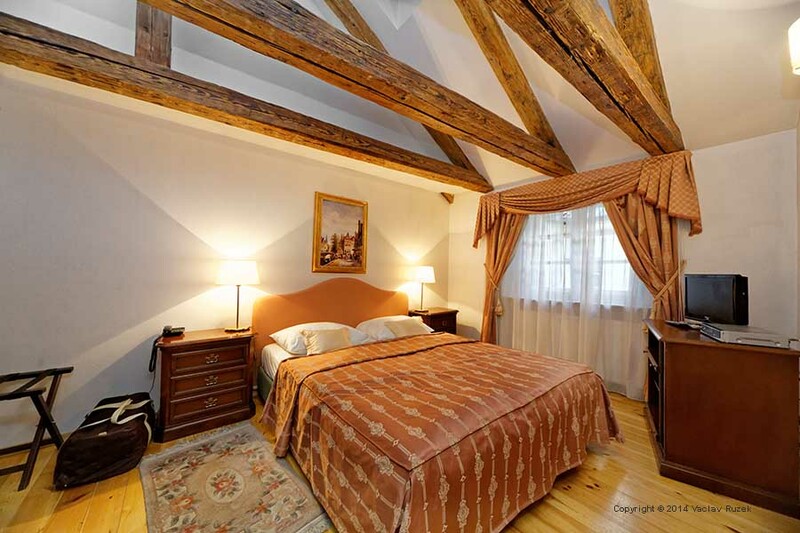 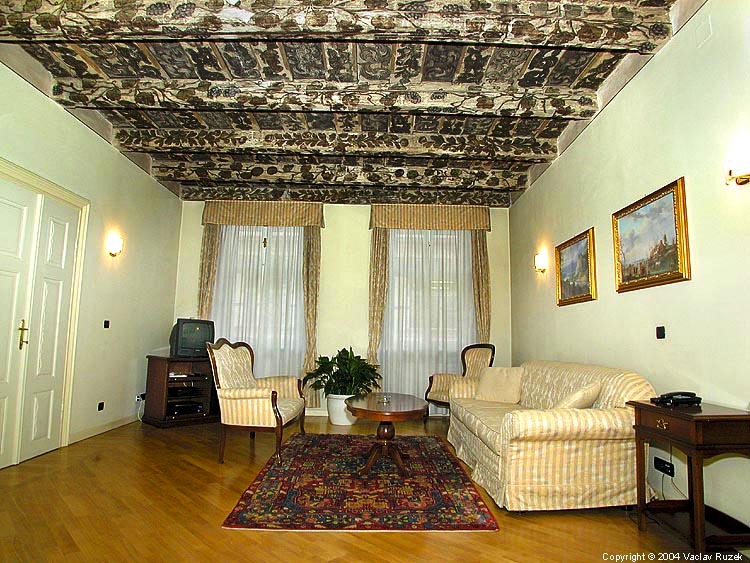 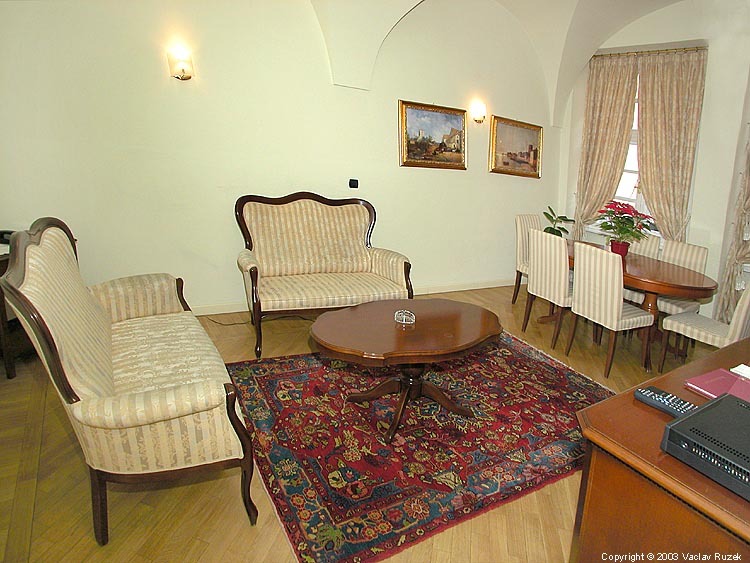 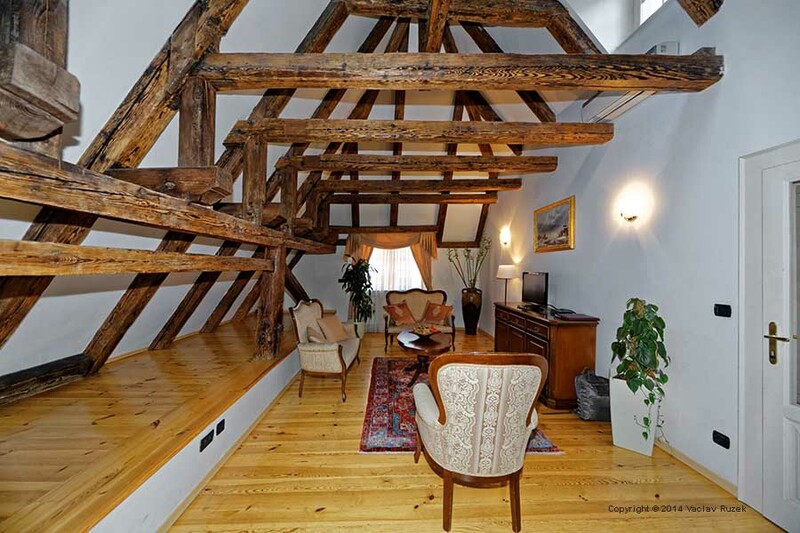 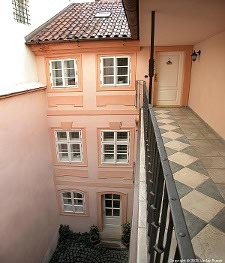 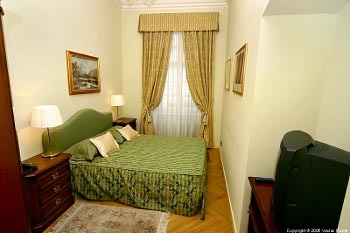 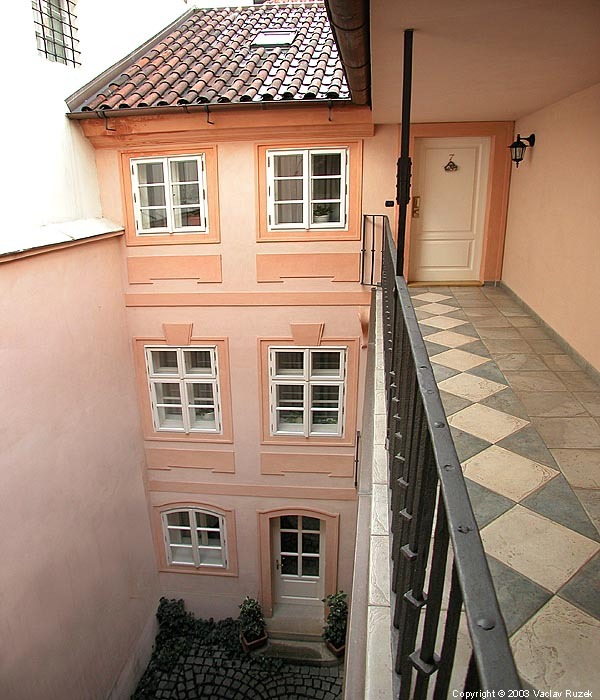 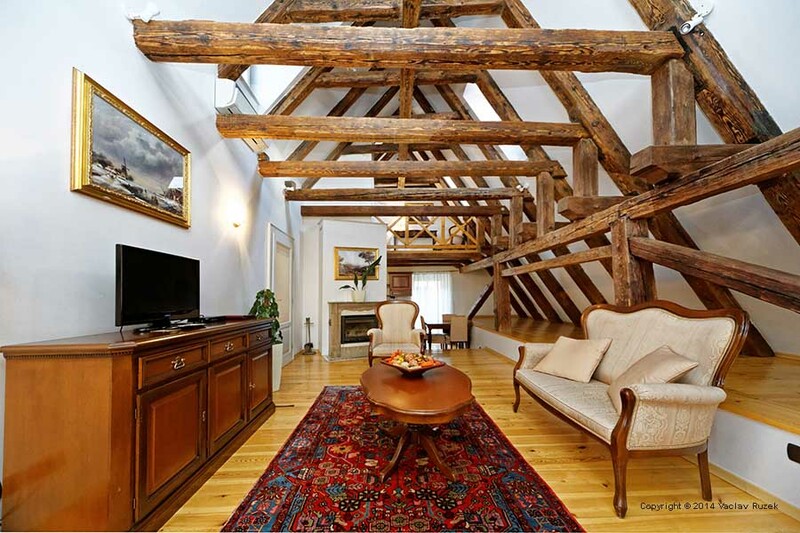 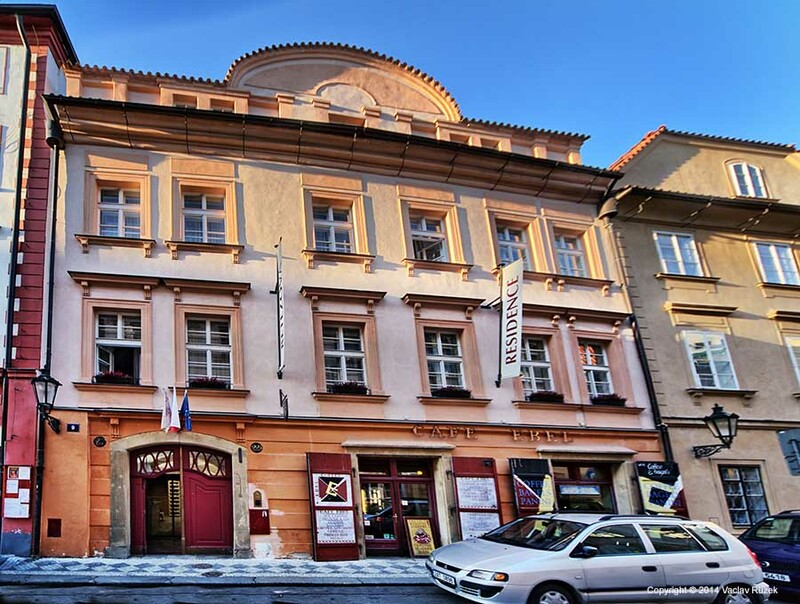 In the very heart of the Old Town of Prague, in an atmosphere linking the magic of the past with sophisticated comfort, one finds the palace of the "Three Golden Chains", which has been adapted as a Residence. The RESIDENCE RETEZOVA houses nine apartments. 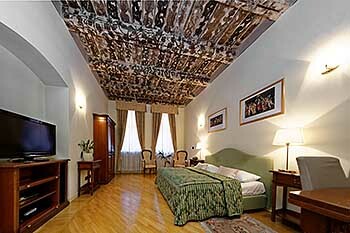 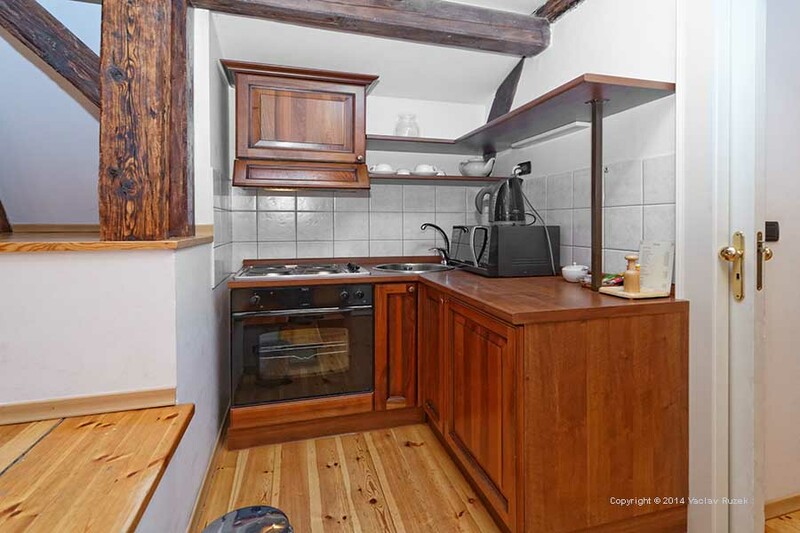 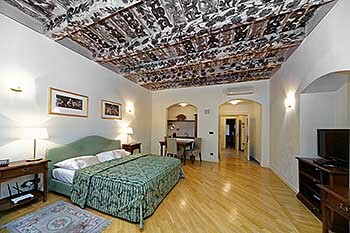 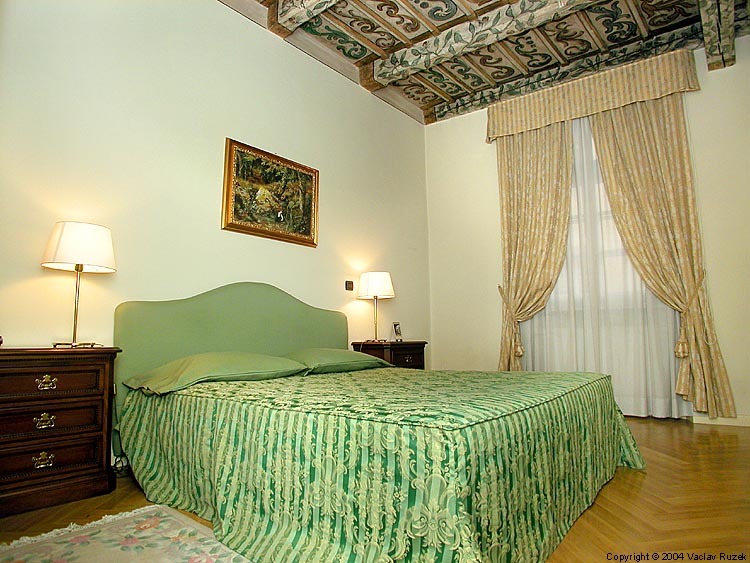 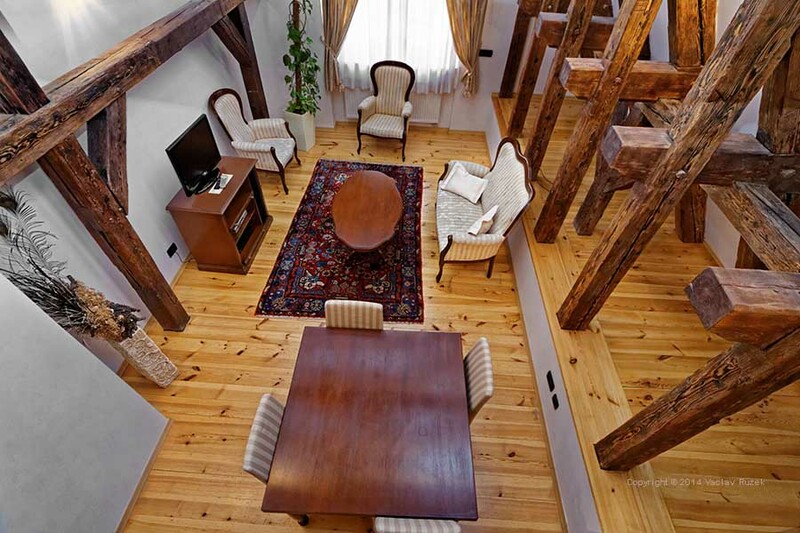 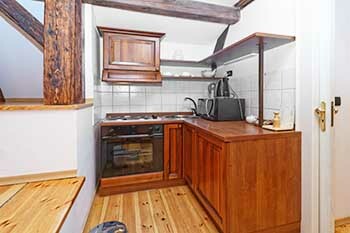 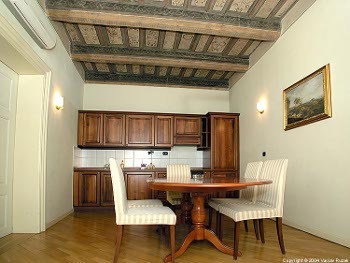 Each of them is sensitively furnished in a different style (vaulted ceilings, wooden decor with frescos, ceiling beams from the fifteenth century) and equipped with a kitchen. 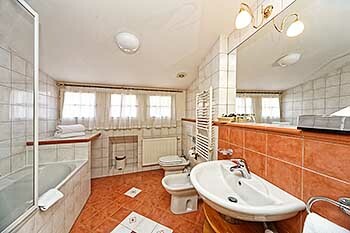 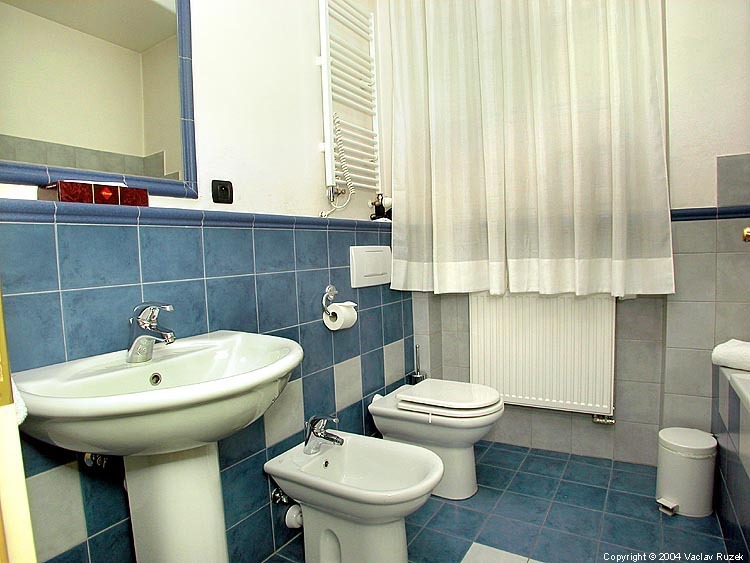 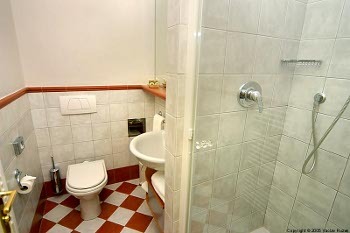 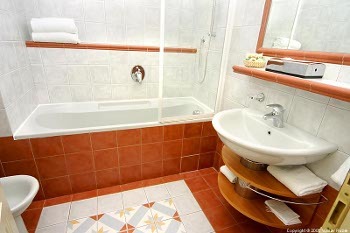 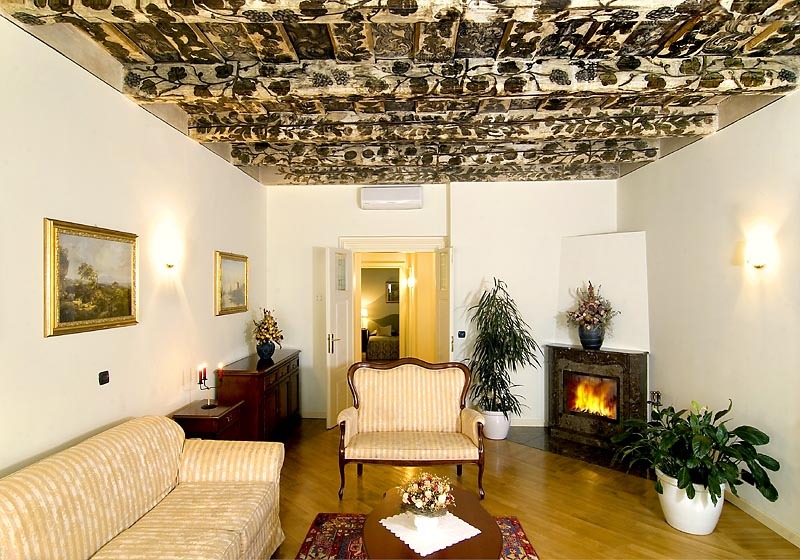 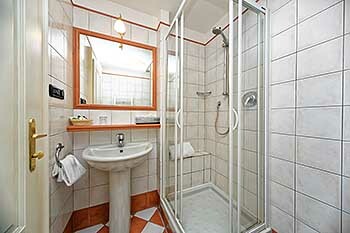 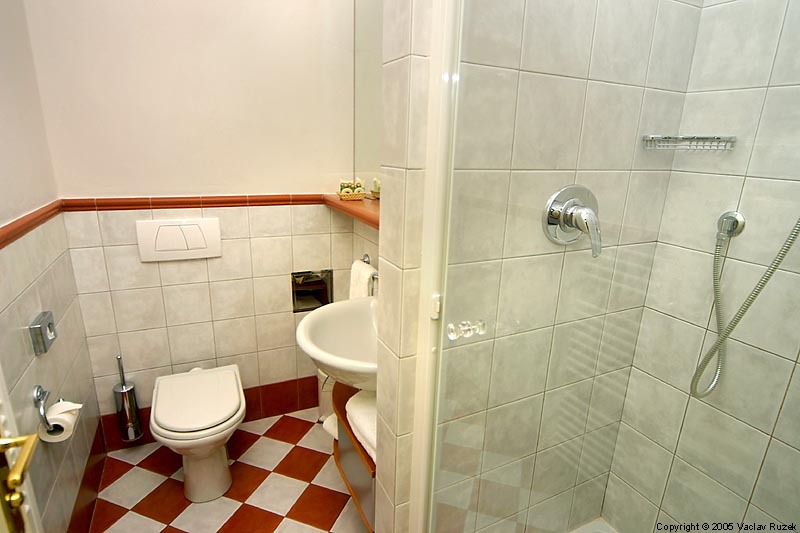 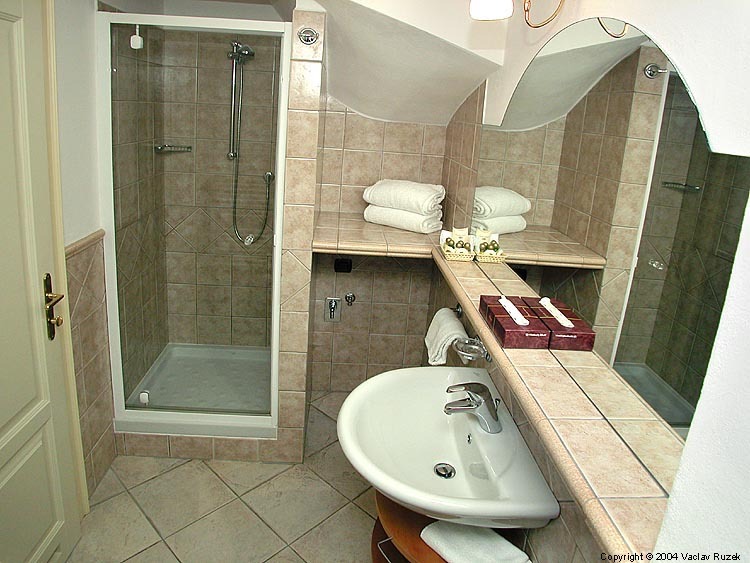 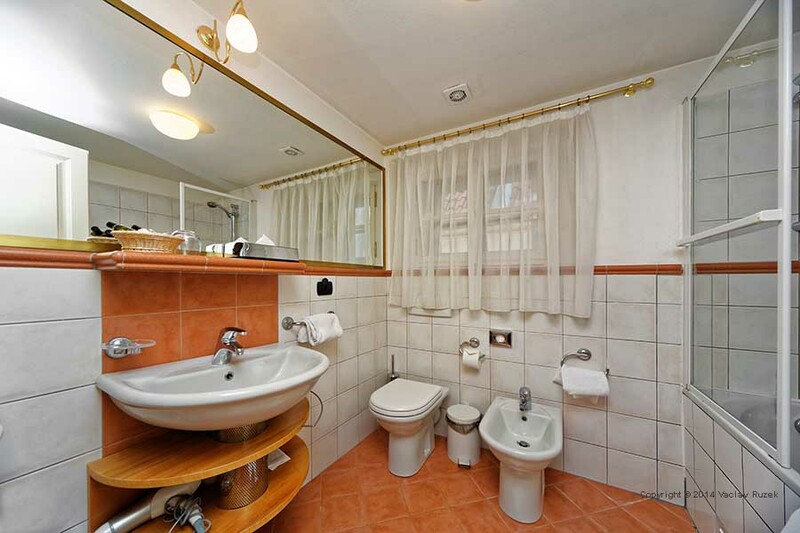 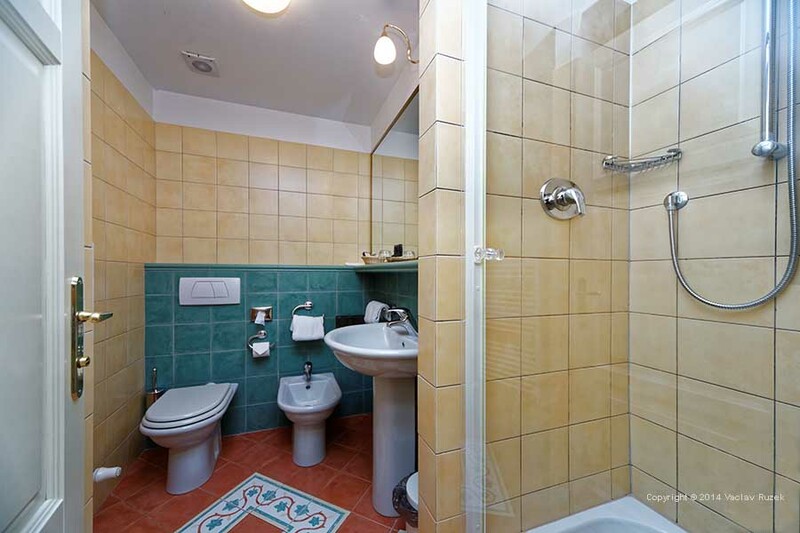 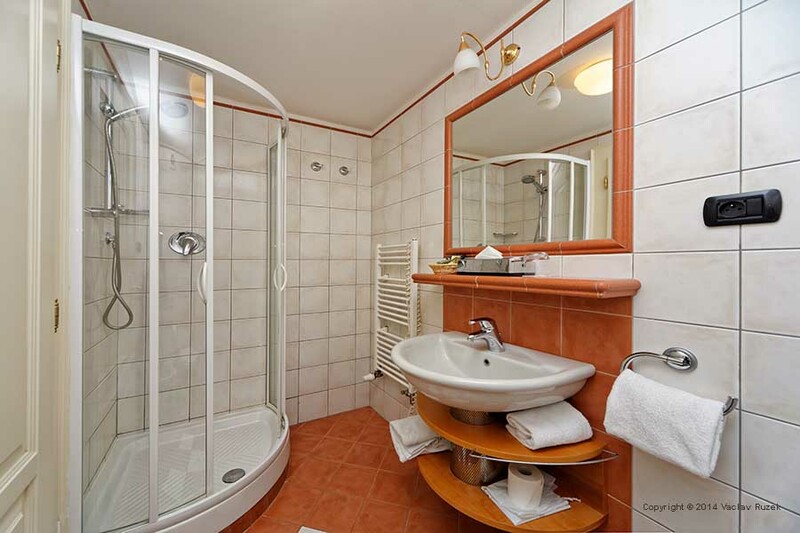 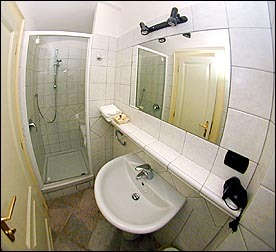 All the apartments are provided with telephone, TV with satellite reception, a security safe, a hair-dryer and one or more bathrooms with Italian-style baths. 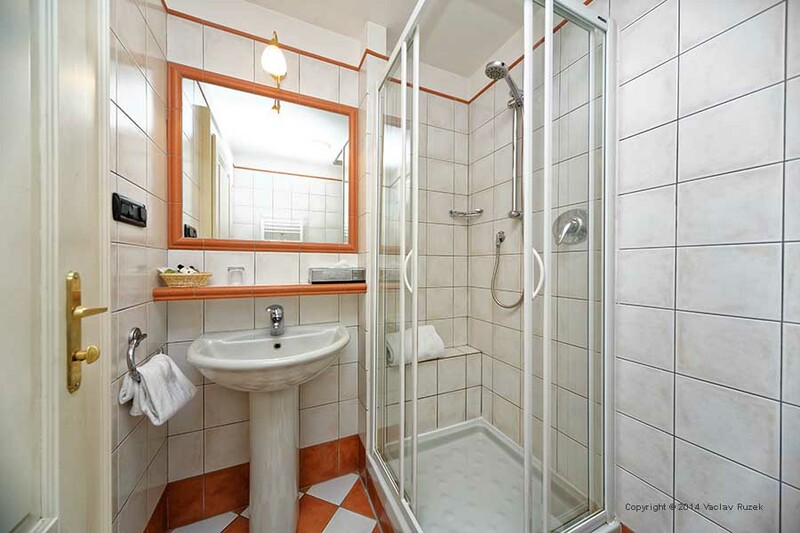 Two-storied apartment - two bedrooms (double bed and twin beds), living room with kitchenette, two bathrooms (shower and bath) - 77m2, air-condition. 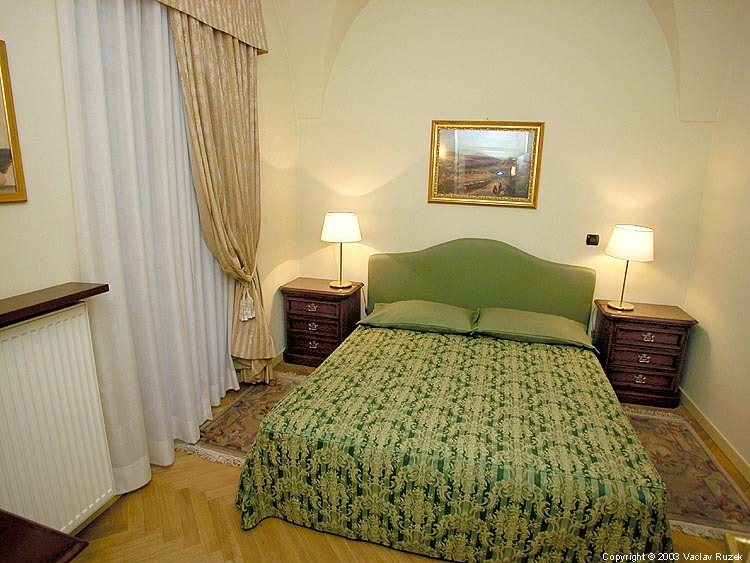 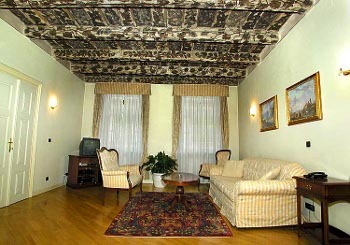 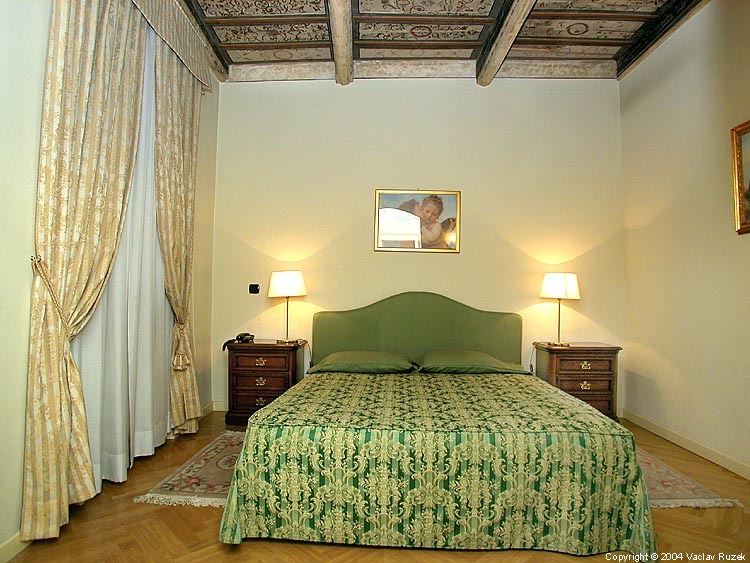 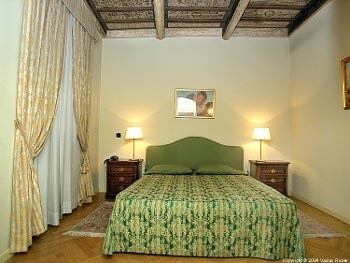 Cathegory Suite. 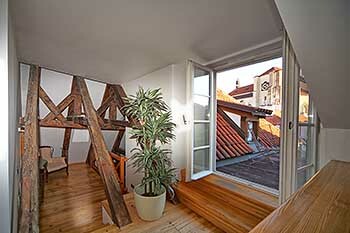 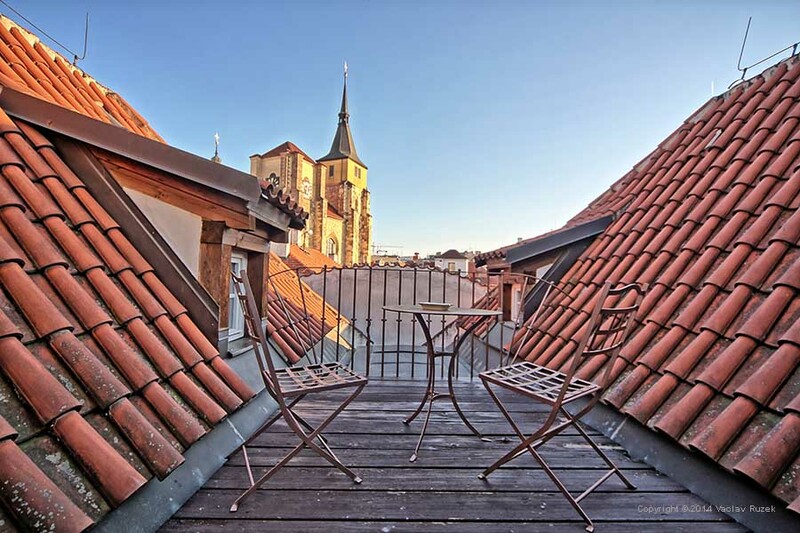 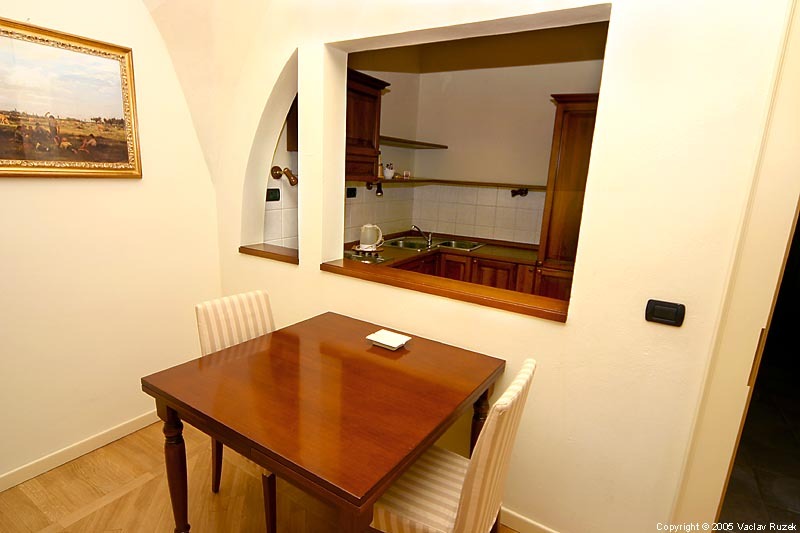 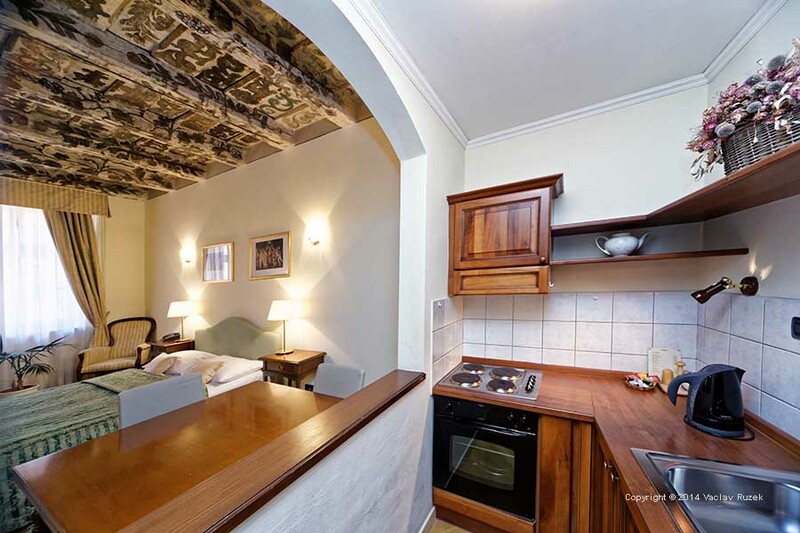 Two bedrooms (double and twin beds), living room, kitchen, two bathrooms (shower and bath) - 115m2, air-condition, fireplace, private terrace with view of the Old Town roofs and the St.Giles Church, Cathegory Royal suite. 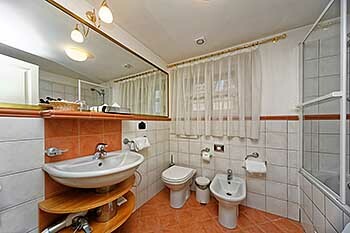 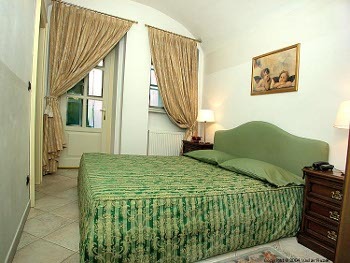 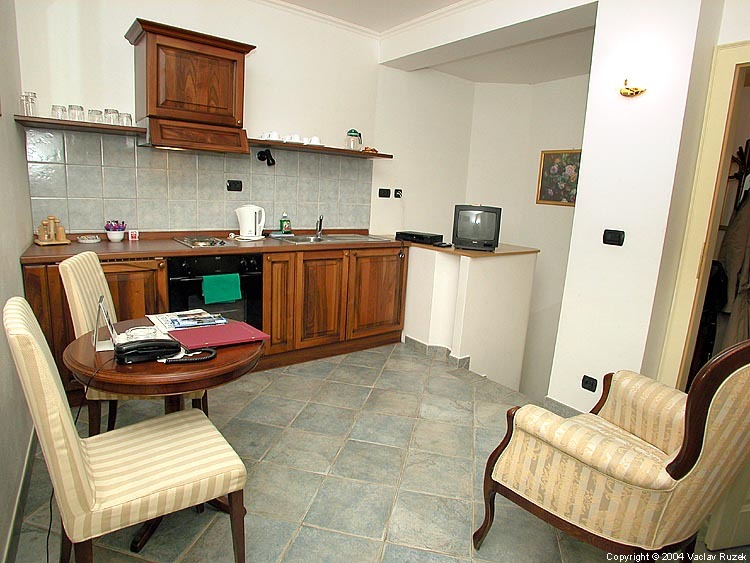 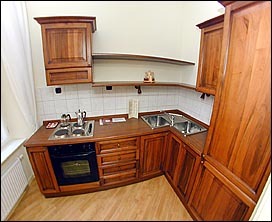 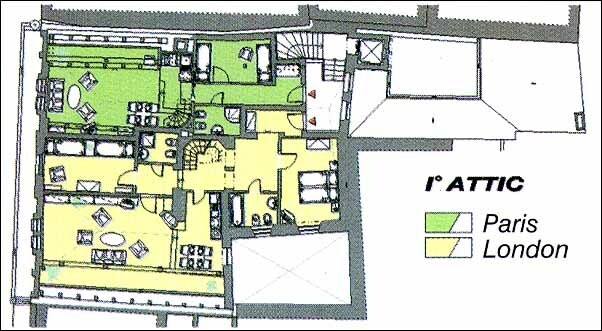 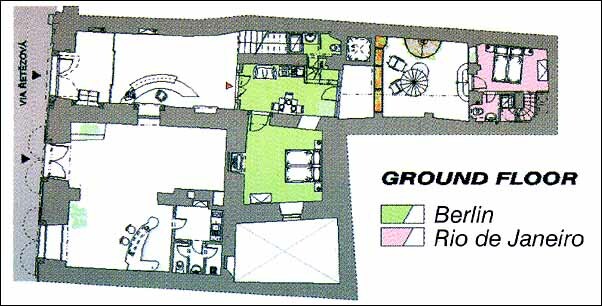 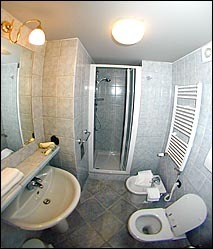 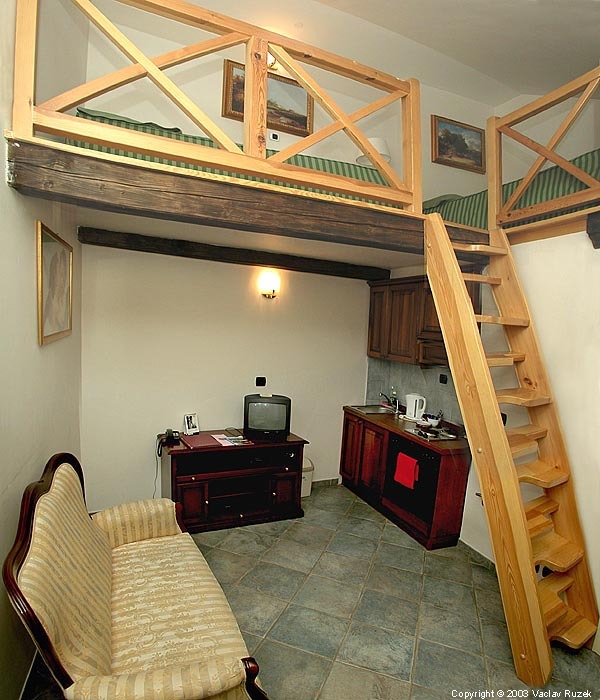 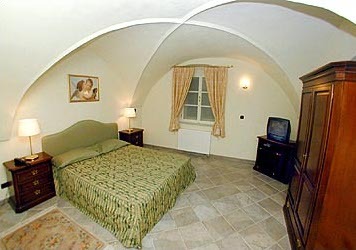 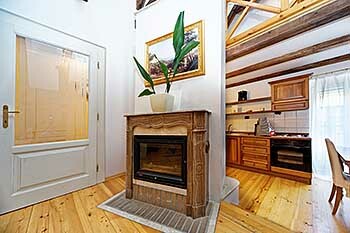 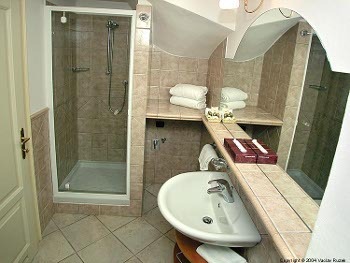 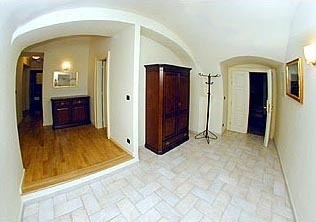 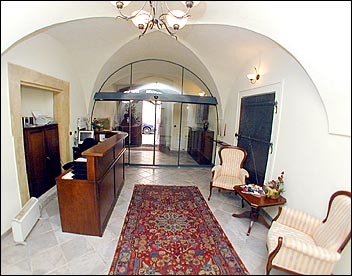 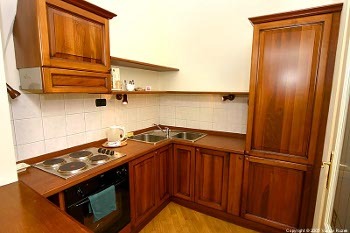 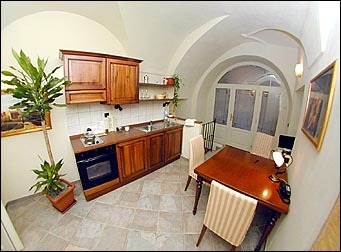 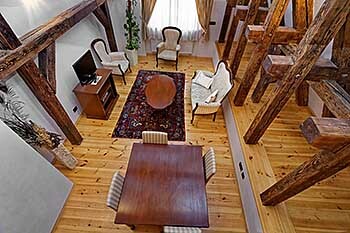 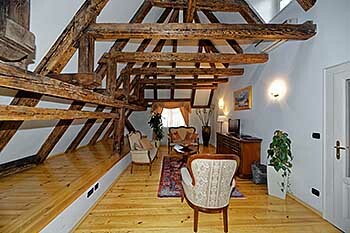 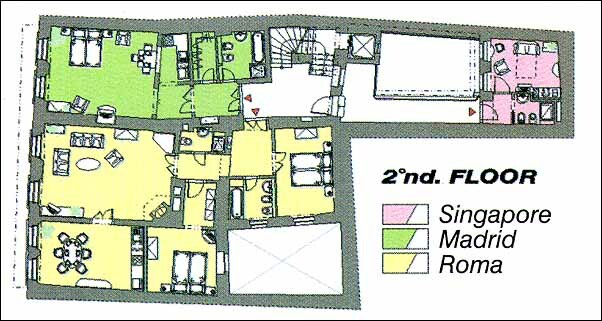 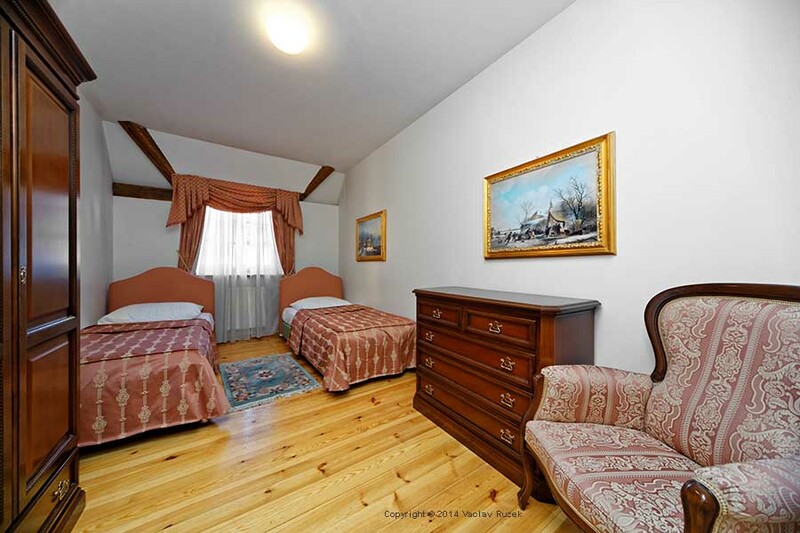 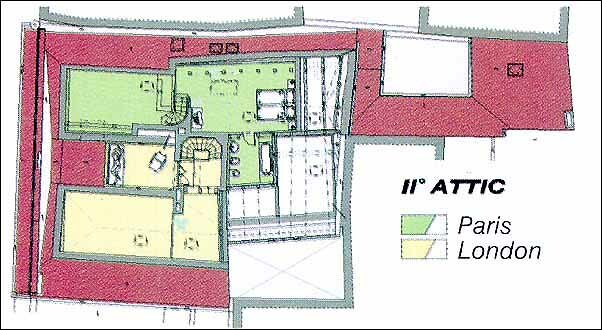 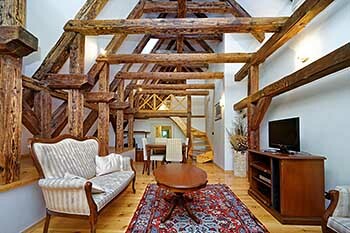 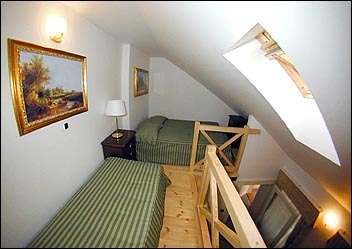 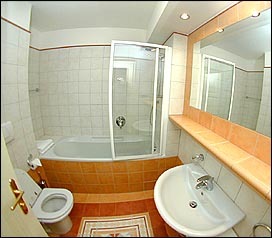 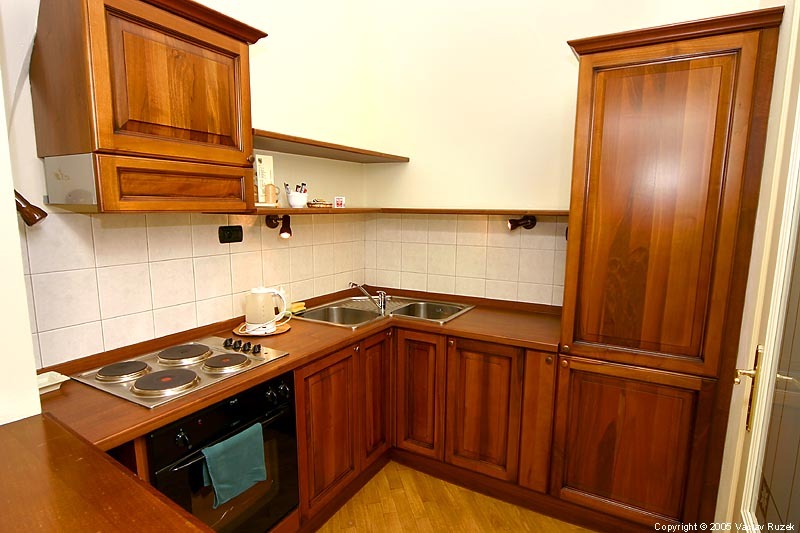 Two bedrooms (two double beds), living room, kitchen, two bathrooms (shower and bath) - 100m2, air-condition, fireplace. 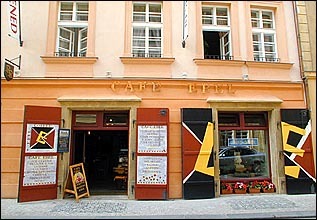 On the ground floor is located "CafĂŠ Ebel" offering breakfasts, drinks and refreshments day-long from 8 a.m. till 10 p.m. everyday. 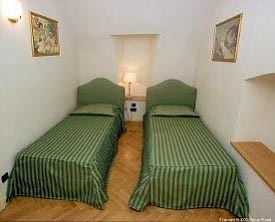 The RESIDENCE RETEZOVA provides a number of services such as e-mail, baby-sitters, laundry, room cleaning, parking on request, booking of tickets, car hire, delivery of breakfast, lunch and supper to the rooms, and so on. 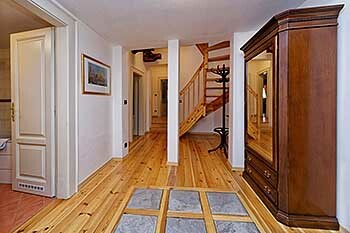 There is an elevator in the house. We offer discount all year long for reservations prepaid in advance. Prices include VAT, maid service and all taxes but do not include breakfast. 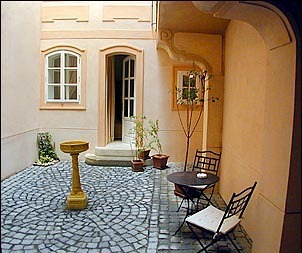 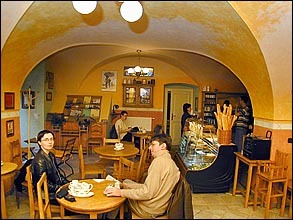 The price of the breakfast is 7,5 € per person /night. Extra bed or baby cot for children up to 12 years free of charge. 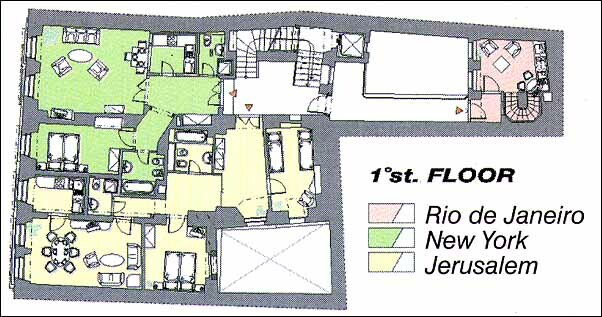 The extra bed is possible in all apartements except Rio. For stays of more than 10 days we offer further reduction.